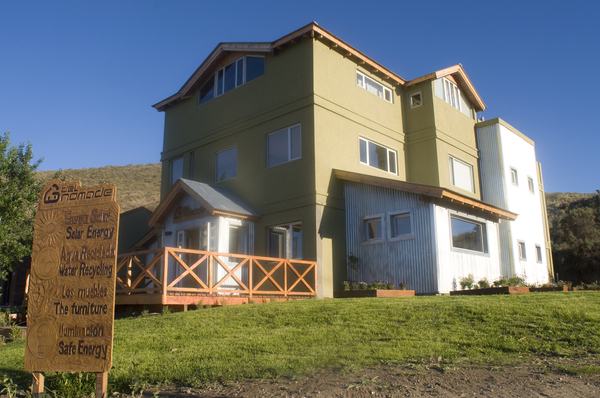 PUERTO PIRAMIDES, ARGENTINA, July 28, 2017 /24-7PressRelease/ — The owners of Del Nomade Eco Hotel are delighted to have their efforts recognized by winning the first prize in a contest to find Argentina’s greenest hotel. The hotel’s founder, Alejandro Avampini, is a highly regarded nature photographer. His primary motivation for building the hotel was to be able to welcome visitors that have both an adventurous spirit and respect for our planet. Puerto Piramides, population 500, is the only town inside the Valdes Peninsula Nature Reserve and UNESCO World Heritage Site. The hotel caters to a small number of guests, allowing for a highly personalized service. Avampini advises visiting the Valdes Peninsula during prime whale-watching season, from mid-August until mid-April. In addition to the southern right whales and orcas, visitors can enjoy seeing: elephant seal colonies; half a million Magellanic penguins; dolphins and birds, while also snorkeling with sea lions.